Like many designers, I like maps. We use different types of maps at FutureGov to help guide organisations through change to build the future they want to see. 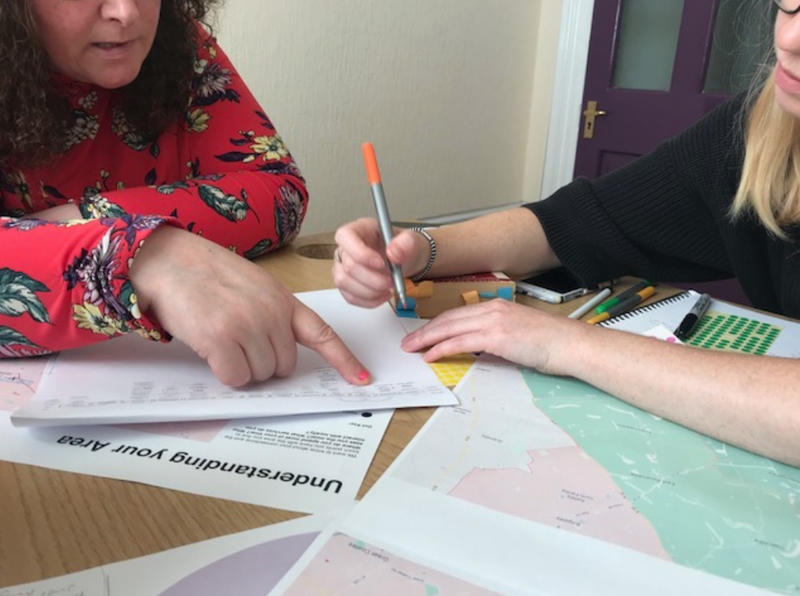 In mid-December, we rounded off a review of Adult Services in North East Lincolnshire Council (NEL) with a roadmap. We’d spent 6 months working alongside staff and citizens through research, co-design and testing to design better and cheaper services. Getting to know the people and place, we learned as much as we could about the council, their challenges and their goals. When it was time for us to step back and let the NEL team get on with the good work, we first helped them outline a plan for the team to action throughout the next year, breaking down the transformational change work into defined themes and manageable tasks. Making long-lasting, transformational change is complicated. It requires flexibility, room to experiment and the freedom to make mistakes. There are simply too many shifting components to pinpoint a single way of planning work. Whilst it’s important to create a plan that evokes action, it must also be versatile enough to accommodate this uncertainty. When we’re trying to design for the future, finite project plans can be limiting, which is why we use an agile approach and mapping. It can take getting used to the ambiguity that comes with these methods. Who wouldn’t prefer a simple set of instructions with detailed timings? Many of the staff in NEL are used to setting clear and concrete project plans before even procuring work. It was only natural there would be skepticism towards flexibility. One way of looking at this is to imagine baking a cake. Only, the oven settings and ingredients are constantly changing. That’s what transformational change is like. Your favourite, more detailed recipe won’t serve you well here. You’ll need a new recipe that keeps you on track and allows you to adjust. Time, temperature and amount of ingredients may change, or in the context of a council, staff resourcing, service user needs or changes in policy. This is where baking down, I mean breaking down, a roadmap into clear themes is helpful. For the NEL Adult Services review, we focused less on how to fix specific services and more on the combined effect of small changes across the whole adult services recipe book to build layers of systemic change. We took a similar approach to the roadmap, breaking it into 4 key ingredients or themes from our lenses for service transformation — Governance, Data, Content and User Experience. Cutting our transformational cake down into themes, or slices, helped focus our actions on bite-sized, manageable tasks. It’s exciting to think about eating an entire cake in one sitting, but it’s probably not very achievable. Especially a rich cake with many layers. Starting small while thinking big, we were sure that our goals wouldn’t be overwhelming because we weren’t trying to change everything at once. Just like any good cake, these roadmap ingredients need to work together to create something everyone wants a piece of. And what’s a recipe without a secret ingredient thrown in the mix? Using insight from our research, we tailored the recipe to the priorities for change (or taste) in NEL. For instance, we learnt that a lack of a shared vision for Adult Services has often meant that staff don’t know if they’re doing the right thing. This inspired the Governance branch of the map, opportunities and subsequent actions for the team to take forward. One recipe does not fit all and our job as service designers (ahem, transformational bakers) is to handover the recipe and enough ingredients to allow staff to rise to the challenge of tailored baking. North East Lincs have asked us to return in 6 and 12 months time to see how this cake is cooking. I personally can’t wait to be back in Grimsby Town to sample a taste of how using the roadmap has been and grab an actual Coopland’s yum yum! 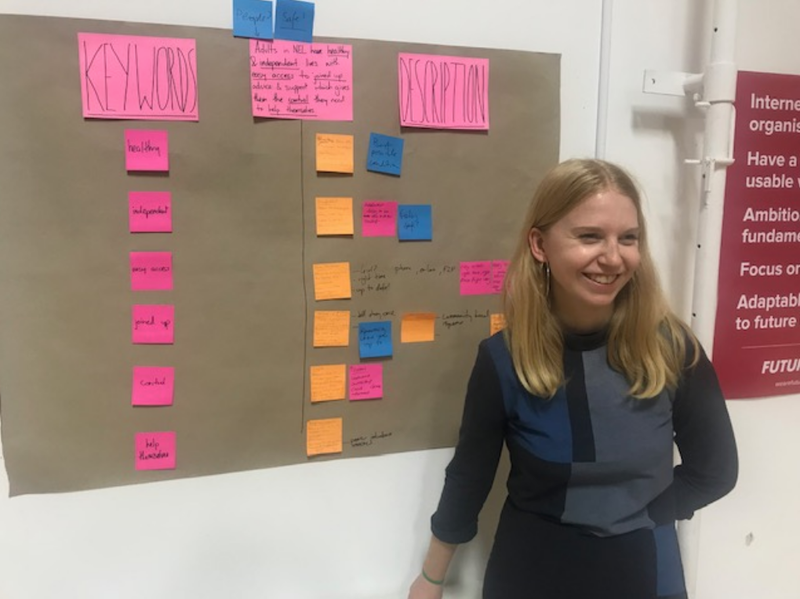 A recipe for transformational change was originally published in FutureGov on Medium, where people are continuing the conversation by highlighting and responding to this story.